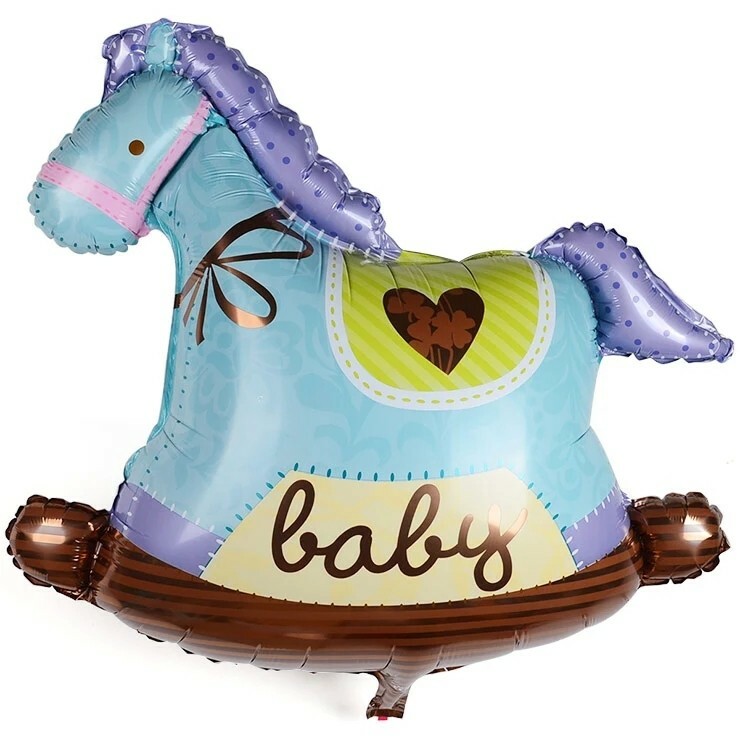 This supersized baby boy rocking horse balloon will wow everyone at your baby shower. This giant balloon is 66cm x741cm once inflated and requires helium. The colour of this balloon is a mixture of pastel blue, royal blue, green and brown.